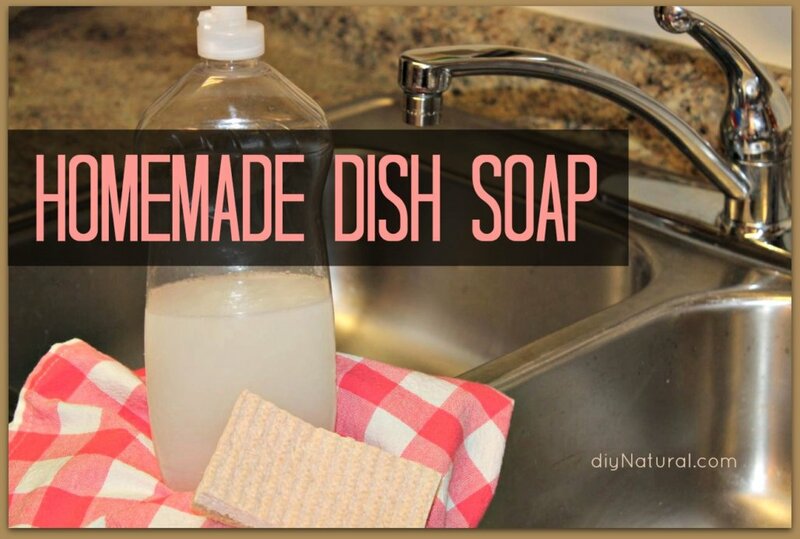 Homemade dish soap is easy to make. It also saves you money, helps rid your home of the toxins in commercial cleaners, and is a fun and sustainable project. Are you looking to save money on cleaning products and work toward a more natural lifestyle, eliminating chemicals and toxins from your everyday products? Do you love the challenge of making your own cleaners? Even though we wrote a book on how to make all your own household cleaners, we continue to create new recipes and improve the old ones. This recipe (not featured in the book) is simple, natural, cheap to make, and cleans dishes to a sparkling shine. Now you're ready to use your liquid dish soap just as you would use any commercial brand! 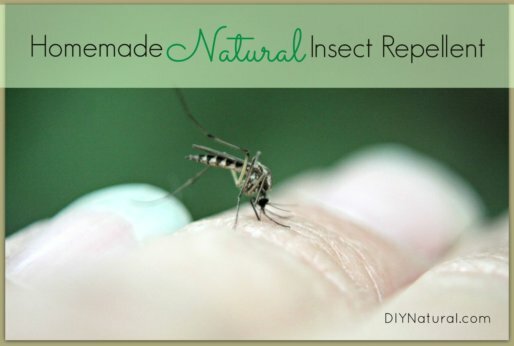 Enjoy this video tutorial with step-by-step instructions. Antibacterial essential oils can be used in this homemade dish soap recipe to naturally increase the cleaning power. Oils such as lemon, eucalyptus, sweet orange, geranium, or lavender have antibacterial properties. Using a citrus oil will also help with cutting grease. I personally prefer eucalyptus lemon dish soap, with about 10 drops of lemon and 6 drops of eucalyptus essential oil. The aromatherapy makes the chore of washing dishes a little more enjoyable. If you’re accustomed to using commercial dish soap that foams and bubbles, it will take some time to get used to homemade alternatives. Commercial dish soaps have added harmful chemical surfactants (like sodium lauryl sulfate) to create suds – more for the visual effect, not necessarily more cleaning power. Suds are actually not necessary to get things clean, but we’ve been conditioned to think that bubbles have to be present for cleaning. This is not so. When you squirt your homemade dish soap into the sink, you’ll notice a little bubbling at first, but then the water will just look a little cloudy. This is normal. Your dishes will still come out clean. I always wash silverware first, then dishes and glasses, and save pots, pans, and really greasy dishes for last. Note: If your homemade dish soap ever gels up too much in the bottle just give it a shake and it’ll be ready for use again. You can also dump it all in your blender and blend for about 10 seconds. This should prevent future gelling and/or separation. There are all sorts of concerns about the toxicity of borax swirling around on the Internet. Many readers have expressed concern about the inclusion of borax in our dishwasher detergent recipe and laundry detergent recipe. 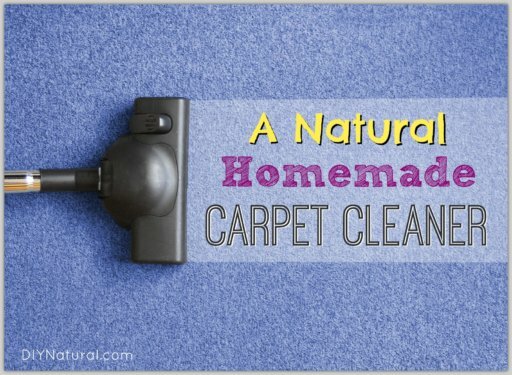 We have done tons of research on it, and feel it is a safe, effective addition to homemade cleaners. You may be interested in reading this article on the subject, or this article, or doing more research to help make your own determination. Happy dish washing! Let us know what you think of the recipe. Im looking into a homemade dish soap. I tried a recipe using the Fels-neptha but it seemed to leave a film on my glasses. it seems to clean ok but looking into trying something new. I found your recipe and I am wondering if using the Dr. Bronner’s liquid soap how much would I use? Still The tablespoon or a little more. Oh my I am sooooo excited to have found this! We do not have a dishwasher and will not be able to get one until we do a total kitchen remodel so I am hand washing dishes and am allergic to pretty much every dish soap I’ve tried! And our family is in the middle of a total overhaul of all of our cleaning products because I am so sick of bringing chemicals into my home! Thank you! i love this idea, and to top things off, use a drop or 3 of food grade dye(like you use to color eggs) I like my dish soap to be purple and match my kitchen, plus i always put it in a pretty glass bottle. Hate the ugly plastic dish soap containers. I made this last night and it did not gel what so ever 🙁 what might I be doing wrong? Hmmm. I have never had this recipe fail to gel for me, but let’s go over a few possibilities… Was your water boiling before adding it to the other ingredients? Was every last bit of soap dissolved before you stopped stirring? Did you stir a few times as the soap set up? It could be any of those factors. You could also try using a different type of grated soap to see if that makes a difference. I had the same problem as Lauryn and did everything on Betsy’s list here. I even tripple checked everything as I had done it. Could I bring everything back to a boil and add more grated soap? Yes, give it a shot with more grated soap! Thanks for the recipe. I made this the other day and added eucalyptus and lemon oils as recommended. I’ve been using it a few days now and find it lacks big time in grease cutting power. I used Dr. Broners soap. Any thoughts on how to make this cut the grease better? I’m about to run out to the store and buy some Dawn. Sadly, it just won’t cut grease as well as the commercial soaps with chemicals. Sometimes I change my dish water half way through washing to eliminate some of the grease in the water, and other times it just takes a bit more scrubbing. Add Vinegar or lemon juice to cut grease. i made my first batch of this last night, but i tripled the recipe since i have more bottles to fill… i left it on the counter to sit for the 6-8 hours, but after an hour when i went back to stir it, it was very very thick… almost like jello if not thicker. is this normal? if it is how is it supposed to go into a soap bottle and squirt out? This recipe seems to work best when made in smaller batches. Don’t throw away your thick soap though…just add a little water at a time, stirring after each addition, until it’s the consistency you like. I will definitely try this one the next time I need more dish soap. I made the dish soap recipe in your book but it came out solid, I added a heap more water and now it looks like mucus… a bit off-putting washing your dishes in it. It does work though. do you have to use the essential oils? i already have the other stuff from making the homemade laundry soap. i would love to make this tonight, but if i really DO need the oils, i will have to wait. For the recipe you need castile soap and you said for essential oils you can use eucalyptus oil, so I’m just curious do you think I could use Dr.Bronner’s eucalyptus hemp pure castile soap for this recipe? It says it has eucalyptus globulus oil. Definitely! Feel free to omit the extra essential oils if you’re using a bar soap that already contains them. How well does this dish soap work with hard water? We have very soft water where we live now, so I haven’t used it in hard water yet. If you decide to experiment with it, be sure to return and let us know what you find out! Is the essential oil ‘essential’ or optional? The essential oils are optional. 🙂 They boost the natural cleaning power of your dish soap, but the soap will still work without them. The only bar soap we have in our small town is Sunlight – works for laundry just fine, even in our very sensitive skin household. Would it work for this recipe though? I admit to being pretty new to all this and I don’t know the differences between the natural soaps yet. Why isn’t Fels Naptha ok, for example? Fels Naptha would probably work, but it’s designed as kind of a heavy duty laundry soap. However, I know folks who use laundry soaps for dish soap…so it’s really just a matter of preference. I’m not familiar with Sunlight, but if it’s gentle enough for your family’s skin then you could certainly try it. I wouldn’t want this anywhere near my dishes… how about you? All soap has these things unless you make your own. Even Ivory. As for these ingredients, Fels-Naptha contains soap consisting of sodium tallowate and sodium cocoate or sodium palmate kernelate and sodium palmate. The word “sodium” refers to sodium hydroxide, the lye used to make soap, in this case with tallow, coconut oil, palm oil or palm kernel oil. It also contains water and talc. Coconut acid, palm acid and tallow acid are fatty acids derived from plants and animals. They are emollients and surfactants, cleaning agents in other words. PEG-6 methyl ether is an extract of juniper. Fels-Naptha also contains glycerin, an emollient; sorbitol, a sugar alcohol derived from fruits, corn and seaweed, a moisturizer; and sodium chloride, ordinary table salt. Pentasodium pentetate and/or tetrasodium etidronate are inorganic salts used as emulsifiers and dispersing agents. Titatium dioxide is an opaque white pigment. The soap also contains fragrance, source not specified and acid orange and acid yellow colors. Love the sound of this, will have to try it out soon. I do want to say that when we bought our new stainless steel pans the sales person reccomened (as well as the manufacturer) not to use anything with lemon as it will damage the pans, so be careful with the lemon oils. Thanks for this tip Cheri! I hadn’t heard that before. Good thing there are lots of other antibacterial oils to choose from. I have liquid castille soap … could I use this instead of a bar? Thanks for all of the great recipes!! It should work fine, but you’ll want to add a little less water. Try it and let us know how it goes. I have been wanting a homemade dish washing liquid! And here it is,Thanks guys. Borax is natural, but so are alot of other things I wouldn’t ever use in my home.It has long and short term side effects on your health, some of which can be lasting. I have throughly researched and also know the difference between the 2 products. Would Fels Naptha be a suitable bar soap for this recipe or is that a bit too much for dishes? I keep it on hand for the Laundry Detergent recipe (thanks so much for that!). Also, if I just absolutely have to have some bubbles, can glycerin be added to this recipe with no problems? Thanks for all that you do. Glycerin wouldn’t hurt anything so give it a shot and let us know how it goes. I wouldn’t do Fels Naptha if you can help it, as you suspected it’s not made for this type of use. Grab a bar of Dr. Bronners, Kirks Castile, or Ivory. Will this work in a dishwasher since there are no suds? Yes, but you’d also want to add some citric acid to provide that “sheeting action” we all love, or you could just use our homemade dishwasher detergent recipe. I tried this in the dishwasher, using about 2 drops, 1/2 tsp. It worked beautifully! Love it! I think the issues with toxicity of borax is mostly coming from those who have confused it with boric acid. I’ve run into this frequently. I live in Asia and have been unsuccessful in finding borax. Is there a good alternative for it? There isn’t a replacement that does the same exact thing but you could substitute washing soda (a.k.a. soda ash). and may I add …. I’ve kept my (store-bought) dish soap in an olive oil bottle – the kind with a pourer spout – for years now. looks nice on the counter and there’s no need for plastic 🙂 eager to fill it with my homemade batch today. I do the same thing. I saw a friend of mine doing it. It works and looks great. I’ve been waiting for a recipe like this! Once my 7th Generation gets low, I’ll have to try this out! Thanks so much! I use Dawn dishwashing liquid not only to wash dishes but to also remove food and grease stains from clothes. Will this also work in this capacity? We haven’t tested it on clothes, for that we pretreat and wash with our homemade laundry detergent. How do you pretreat with that laundry detergent? Any suggestions on how to leave your clothes with a scent using it? Also, I looked at the recipe for cloth baby wipes. As I do not use cloth diapers, do y’all have a recipe suggestion for the type of homemade baby wipes that use paper towels? Loving your site! Love the laundry detergent’s cleaning power and looking forward to trying the dish soap and dish detergent! Just cut a paper towel roll in half, and pour the diaper wipe solution over top. I would recommend doubling the recipe for the liquid and pouring it over one half of the paper towel roll. (If you’re using both halves of the paper towel, just quadruple our recipe for wipe solution.) Hope this helps! Thank you so much, Betsy! That is really helpful! Is it ok to pretreat stains that way and wait to wash them for 3 days or so? Thanks! Going shopping today for all sorts of supplies…will include these. I think I’ll get some orange and lemon essential oils. I’m particularly fond of citrus…the scent as well as the grease-cutting ability! Awesome! Thanks! Happy New Year!